Experience the Essence of Who You Are! Cathy Stuart is . 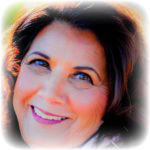 . .
Cathy Stuart, Certified Spiritual Counselor, offers angel readings, intuitive coaching, spiritual mediumship, chakra balancing, angel classes and Reiki Master Teacher certification. 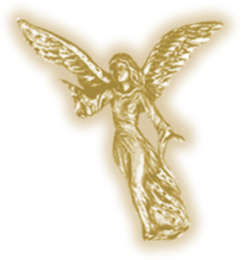 Cathy is ordained through the Madonna Ministry.
. . . a coach, counselor and the lady who communicates with your angels. She has worked with hundreds of clients over the last 20 years to help them discover their full potential and infinite possibilities. By following her intuition and her vast knowledge of what most would call “life experience”, Cathy assists her clients in releasing emotions and patterns that have prevented them, in this life time, from moving forward to a life of peace, love and harmony. Cathy became aware of her gifts at the age of 7. . .
. . . she experienced the energy of God around her on the day before her Holy Communion. While lying on a grassy knoll in her native Michigan she felt as if the sun (God) had entered her body. As she lay there she remembers making a soul contract with God that she would do his work, even though at the age of seven she did not quite understand exactly what that would mean to her. At the age of l0 she had her first apparition of the Blessed Mother, when she was assured that everything in her lifetime would be safe passage for her. She always knew. . .
. . . the way in which she obtained information was not the same as others. Although not schooled with academic degrees, she received guidance from a higher source. The process was unexplainable. It felt to her as if there were a computer chip that was activated at the exact moment in which the information was needed. In following her dream, she opened an Angel store in Scottsdale, AZ. She quickly realized this store was a journey in which she would receive affirmation that she had the ability to coach, counsel and use her intuitive gifts to assist her customers. In l998 Cathy attended a workshop given by Dr. Doreen Virtue and received certification, as a Certified Spiritual Counselor. During that same year Cathy became a Reiki Master Teacher. Cathy has assisted hundreds of people over the last 20 years with her gifts and has trained several of her clients to become Reiki Master Teachers. To allow her clients to come to know through the practice and practicality of the art of mindfulness who they are and why they have agreed to come into this lifetime. To assist clients in coming into a place of pure unconditional love of self through redirection of their energies. Teaching how to live in the moment is Cathy’s ultimate goal.